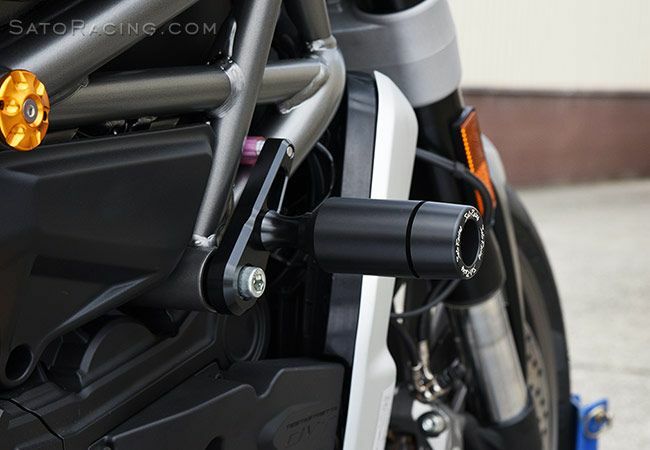 Protect your Diavel with these easy to install and super strong frame sliders from Sato Racing. No modifications required, and they provide some peace of mind in the event of an accident. 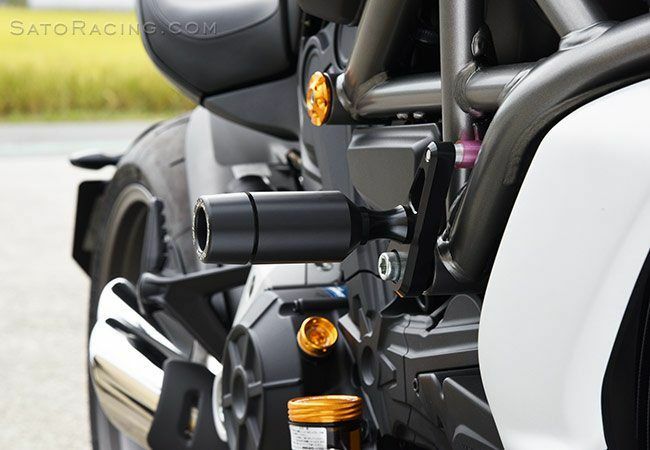 Chrome-moly bolt offers great strength, with anodized black billet collars for proper spacing. Sliders are made from low friction Delrin nylon for energy absorbtion and impact protection.